Learn the 10-key and save time. Do you know how to use a 10 key keypad (or ten key calculator)? This is a largely ignored skill but one that can help you save a lot of time. And, as you know, time is money. Why learn to use a 10 Key calculator? One skill that most people know is worthwhile is typing. If you do not have good keyboard skills, you will significantly reduce your opportunities in life. Don’t be satisfied with “hunt and peck” typing. There is another valuable skill, closely related to typing, that most people neglect to learn. 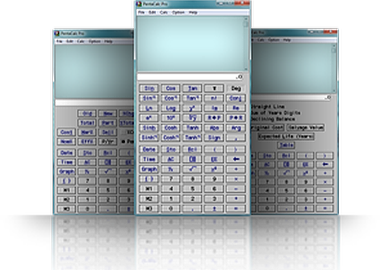 Operating a ten-key calculator. Learning to use a ten-key calculator is not a skill that occurs to people that they should learn. If you consider the time you spend balancing your checkbook, preparing your spending plans, preparing net worth statements, and preparing other financial records, I think you will see that developing the skills to use a ten-key calculator is a valuable investment of your time. Most people think they do know how to use the 10-key keypad. After all, most keyboards have one onthe right side and people do use the keypad to enter numbers into spreadsheets or digital calculators. However, just as there is a difference between “touch typing” and “hunt and peck” typing, there is a difference between poking the ten-key calculator one number at a time and using it like typing on a keyboard. Used correctly, the fingers are placed over the pad with the middle finger over the number 5. The three middle fingers work each of the three main columns of three numbers and the little finger hits the enter key. Once you learn how type quickly with a 10-key calculator, you will start saving an immense amount of time on all your bookkeeping, tax work, and auditing. You will be able to enter numbers as quickly as you enter letters when typing. Here is a short 2-minute video to teach you the basis of using a 10-key keypad. Once you get the basis it just takes practice to get efficient at using the 10-key. It goes against your nature, but read the instructions. Do not look at your fingers! Keep your eyes on the screen. Learn to feel the finger dot on number five as a guide to finger location. Be sure use a full size keypad. Regular size computer keyboards have one built in. If you use a laptop you can buy a separate 10 key with a USB connector. Practice until you can keep your eyes away from the keyboard while entering several numbers. Speed comes later with practice. It took me a little while before I learned to use a 10-key calculator. I started out with a physical 10-key calculator and know I use the digital 10-key calculator with pentacalc. Once you learn to use a 10-key calculator, I promise you will be glad you learned this skill. To hone in your skills, keep a regular 10 key calculator or a 10 key keypad on your desk. Use your 10 key whenever you are balancing numbers, doing financial audits, or doing accounting work. Regularly use the 10 key rather number for other purposes in order to keep yourself sharp and more productive. Like any skill, it takes time and effort to learn, but the reward is well worth it.